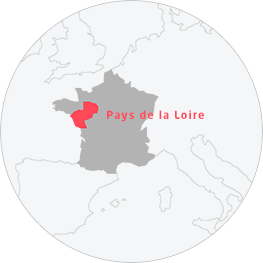 Le Puy du Fou, voted best theme park in the world, is without a doubt the top pick among the emblematic places to visit in Pays de la Loire. Visitors are bound to be charmed by the dozens of exceptional places located in all four corners of the region. They are in turns unusual, original, fascinating and disorienting, so be sure to head to these unmissable sites! Lactopôle, the one-of-a-kind museum of milk! Terra Botanica: an extraordinary garden! La Mine Bleue: 126 metres underground! A total culture shock in the Parc Oriental de Maulévrier! Tame the Machines de l'île! It's all about contemporary art! 5 museum curiosities to see!